Comparison is a powerful cognitive research tool in science since it does "across studies" to evaluate similarities and differences, e.g. across taxa or diseases. 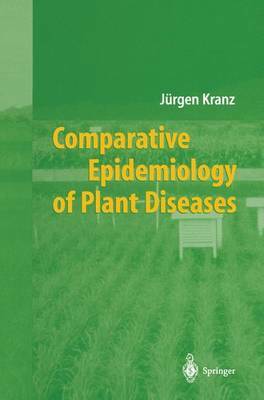 This book deals with comparative research on plant disease epidemics. Comparisons are done in specifically designed experiments or with posterior analyses. From the apparently unlimited diversity of epidemics of hundreds of diseases, comparative epidemiology may eventually extract a number of basic types. These findings are very important to crop protection. Plant disease epidemiology, being the ecological branch of plant pathology, may also be of value to ecologists, but also epidemiologists in the areas of animal or human diseases may find interesting results, applicable to their areas of research.